By Hilary Cole-Pidgeon | May 1, 2012. The Dublin Gay Theatre Festival is nearly here, and there is a lot to look forward to in its 9th year of running. Taking place in different locations around Dublin, such as the Teacher’s Club and Cobalt Cafe, the Festival will be running from May 7th to May 20th. 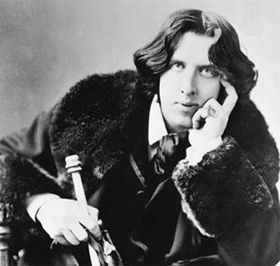 The festival first began in 2004, to mark the 150th birthday of Oscar Wilde. The plays are both Irish and international in origin and are new works. The theme is mainly focused on homosexuality or the works have been contributed by a gay person. It is one of the biggest events of the Dublin calendar for LGBT groups, both Irish and around the world. The festival promotes awareness and encourages youth participation. It has been a huge success so far, and hopefully it stays that way. It is not just about the awareness but also about beautiful writing that may not get recognition in other places. The Festival is a celebration of both sexuality and play writing. The plays also help us with acceptance of others. It’s not about whether you’re gay, straight or bisexual; it’s a Festival for everyone, which people can enjoy together. It is a huge leap that we have made, and being able to celebrate Wilde, one of the greatest writers of all time, in his native country is an honour. It doesn’t matter what your preferences are, come on down for a day of fun and celebration that is for everyone.